LTM Training Academy – winners of the cHeRries Tremendous Training & Development award 2011! 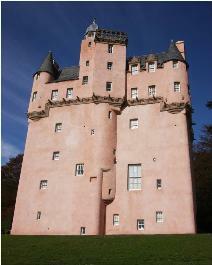 Craigievar Castle was awarded two awards in Aberdeenshire Council’s 2010 Design Awards held at Haddo House in September 2010. It received the highest award for Craftsmanship (Distinction) and was also recognised for Conservation (Highly Commended).